a restoration and construction company serving Wellington County and surrounding areas, specializing in brick and stone restorations and new masonry construction, as well as residential, commercial and agricultural construction and renovations. 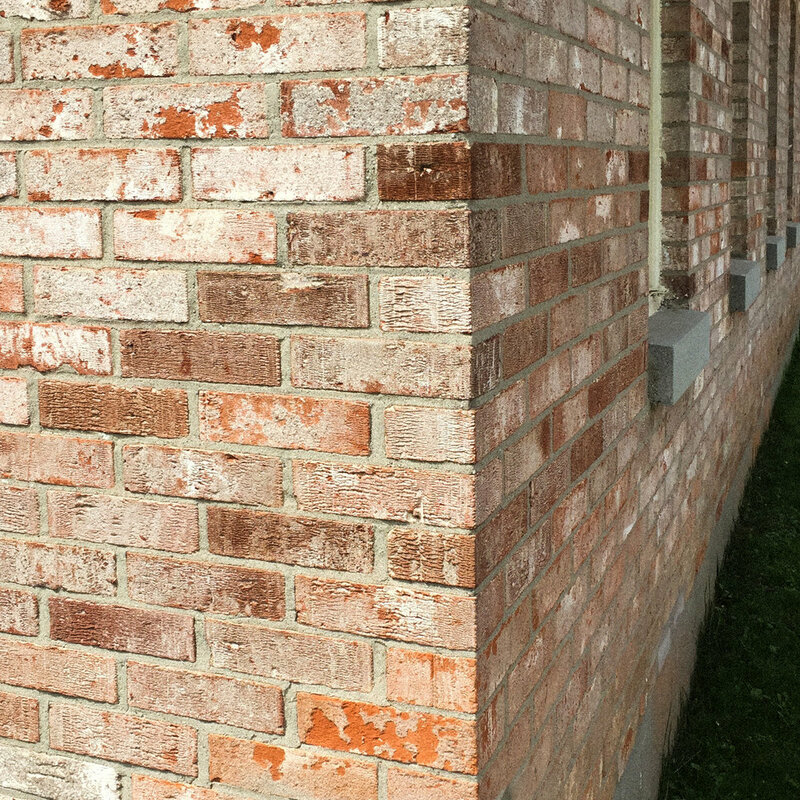 Examples of repointing and spalled brick replacement. Restoration of bell tower and wall on Duff's Presbyterian Church in Guelph, Ontario. Square cut Flagstone Patio with beautiful bronze limestone flagstone.